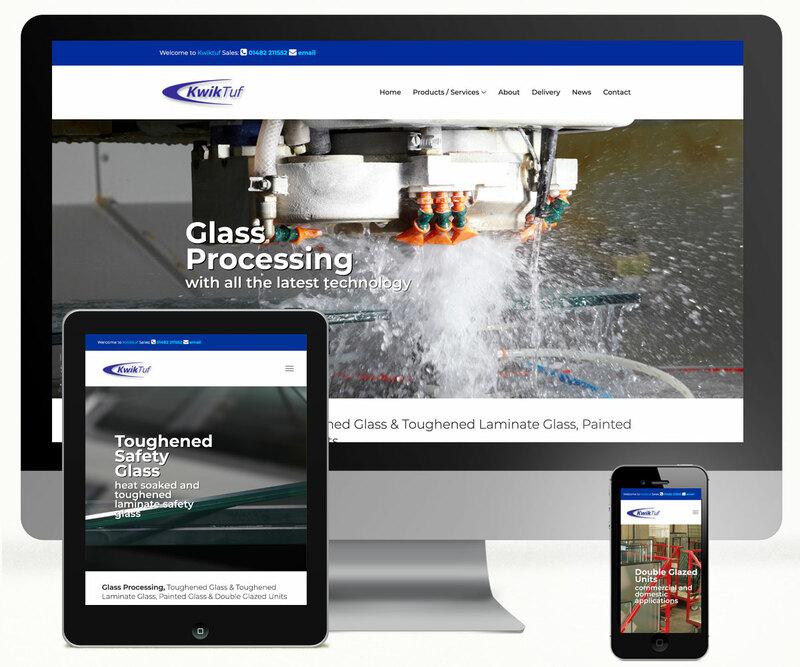 Kwiktuf Glass Website - 939 DESIGN, Hull, Yorkshire. Manufacturing from an 18,000sq/ft factory close to Hull’s City Centre, KwikTuf Ltd has a growing reputation for delivering a high quality and reliable service for both Glazed Units and Toughened Safety Glass products, in and around the Hull and East Yorkshire Area. Glass CuttingEmploying over 30 people and some of the latest technology production equipment.